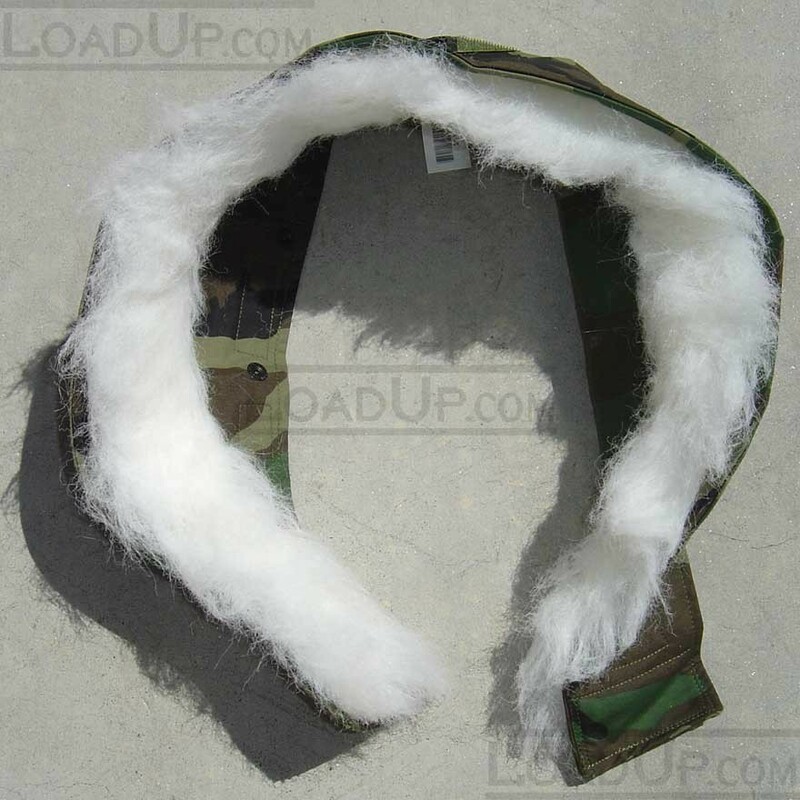 One side of the ruff incorporates the synthetic fur, with velcro fasteners and snap fasteners on the opposite side. 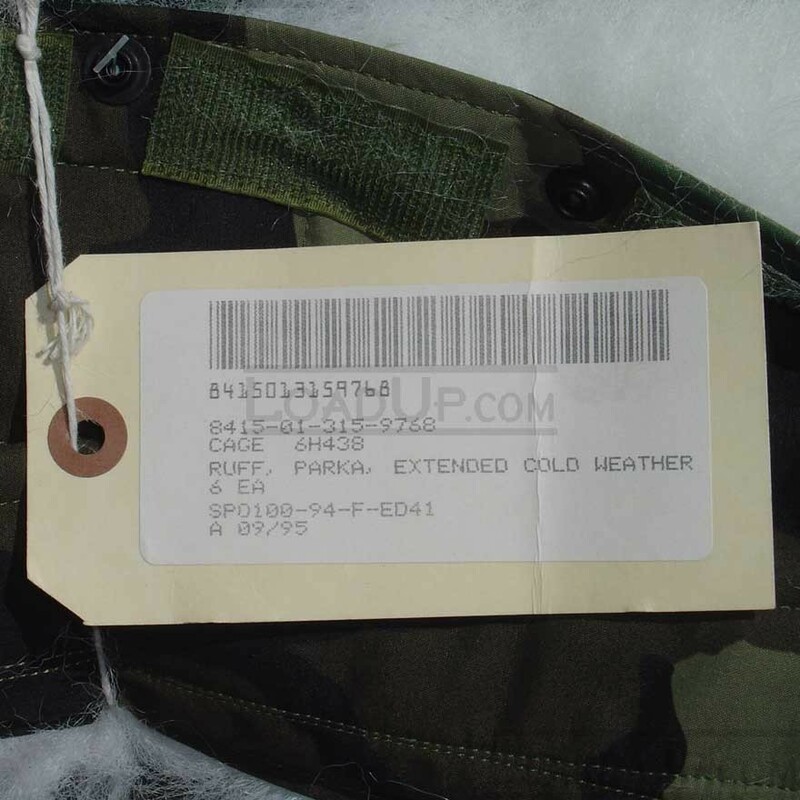 The fasteners allow attachment of the ruff to the camouflage cold-weather parka. 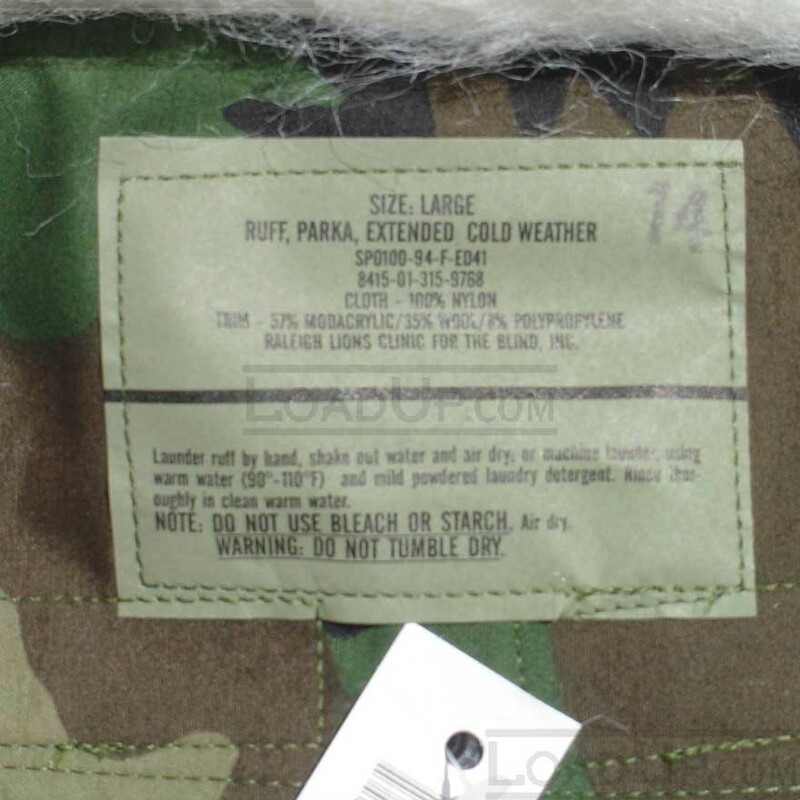 Camouflage Green 483 Woodland pattern. The ruff is an attachable component used with the parka in the ECWCS. 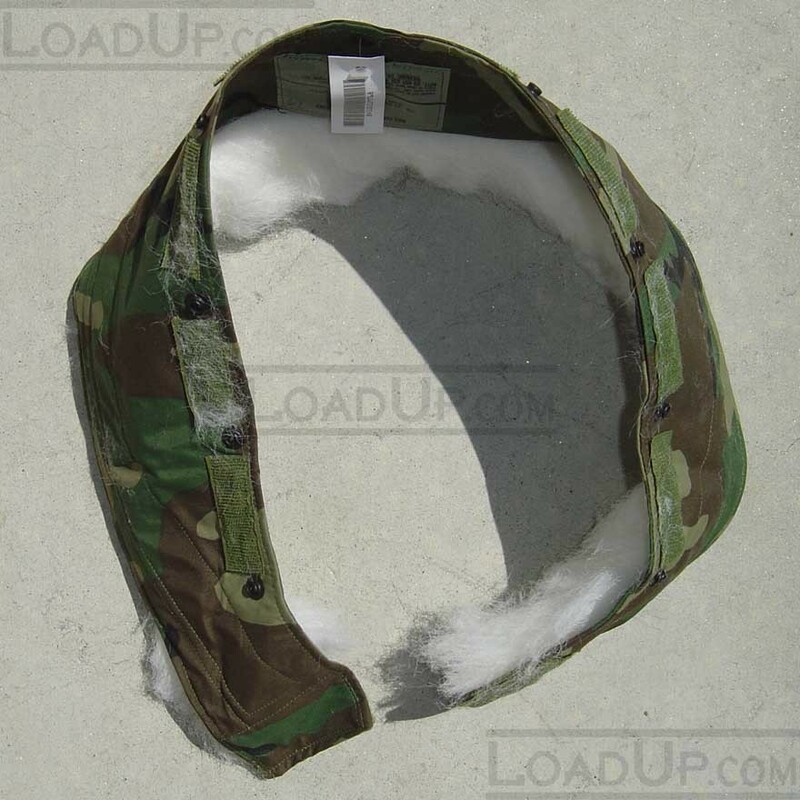 Snaps and Velcro allow easy attachment to coat hood.